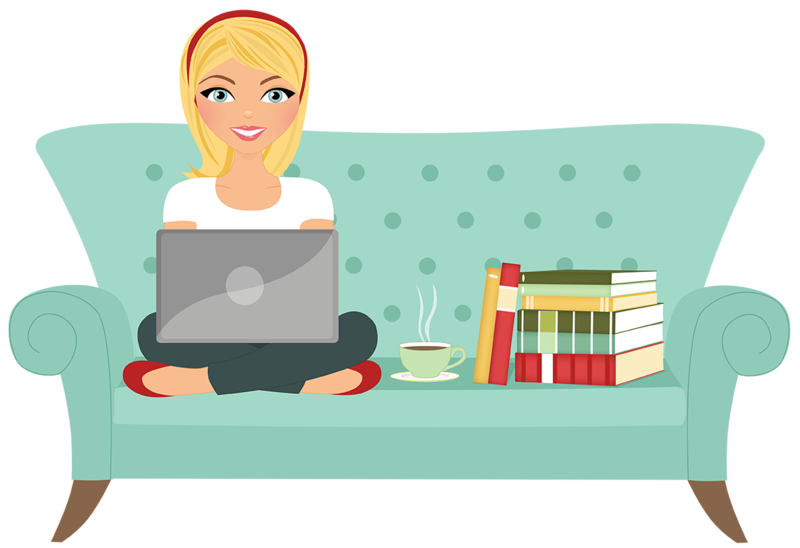 If you’ve read my blog at all in the last six months you may have noticed that I am a big fan of comic book shows. There are some that I love more than others (the fact that Gotham will outlive Constantine is a horrible injustice) but I give them all a chance, and usually love them. Two of my favorites at the moment happen to be The Flash and Arrow, and I’ve become quite a fan of iZombie in the past couple months as well. I love these three shows and wouldn’t think of missing an episode, but that doesn’t mean I love everything about them. In fact there’s one thing that all three had in common this season (aside from being based on comics) that I find incredibly frustrating – even more so with every show that uses this trope, which is common among this genre of television. I really, really hate the “I’m lying about [insert really big, possibly life-altering secret here] because it’s the only way to keep [insert unfortunate clueless character here] safe” plot device. Lying about secret identities is expected in comic shows – a superhero needs to keep his real identity secret after all. However, I feel on each of these three shows this season, keeping whatever secret the main characters didn’t want to share was taken to the extreme – to the point where it became extremely frustrating to watch what was happening to the characters being kept in the dark. Also, in each case keeping the secret meant ultimately creating causing more harm to the person they were trying to protect than if they had just been honest in the first place. It’s one thing when keeping your secret is just a small part of the story, but when it becomes a major plot point, it’s starts to get annoying. Note: The following discussion assumes the reader is up-to-date on all current episodes of Arrow, The Flash, and iZombie. There will be spoilers. If you are behind, you may want to catch up before reading. if you’re not concerned about spoilers, continue reading after the jump. First up, let’s look at Arrow. In the third season premiere Sarah Lance, aka the Canary was murdered by an unseen assailant. Her sister Laurel made the unilateral decision that no one would tell her father – Sarah’s father – about Sarah’s death. Call me old-fashioned, but doesn’t her own father have a right to know? Laurel’s logic was that Quentin was in recovery and already had a weak heart, and wouldn’t be able to survive losing his daughter again. 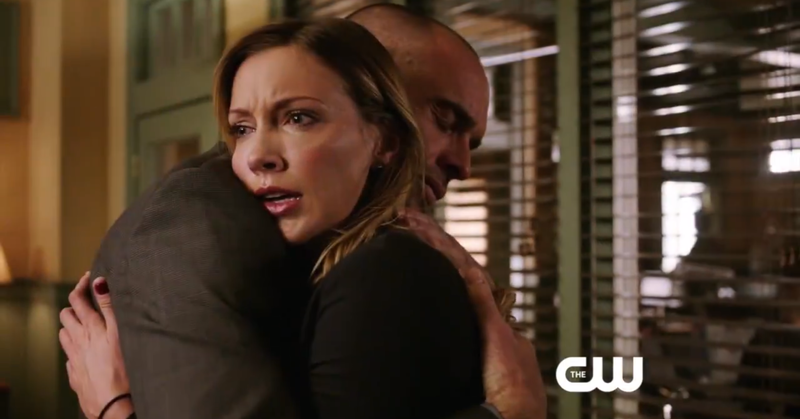 I’ve never been Laurel Lance’s biggest fan, but this decision really made me like her even less – which is a shame, because aside from this plot point, she actually started growing on me this season. It got even worse when Laurel called her father and used a voice-changer to synthesize her sister’s voice, deluding Quentin into thinking he was speaking with Sarah. This crossed a line for me. It’s one thing to omit the truth, but to deliberately mislead him? That just wasn’t right. Once Quentin finally does learn the truth everything blows up in Laurel’s (and by extension Oliver’s) face. Quentin turns against Team Arrow and won’t even see the truth when members of the League of Assassins start murdering people dressed as the Arrow. Blinded by grief, Quentin is convinced Oliver is guilty and won’t listen to reason. He’s also not willing to forgive his daughter, and turns back to drinking. Not telling Quentin the truth from the beginning ended up causing considerably more damage in the long run. On The Flash, Barry Allen keeping his secret didn’t bother me too much in the beginning. It seemed natural that he would want as few people as possible to know that he was actually the Flash. I had a feeling Iris might be a more interesting character if she knew the truth and was more involved in the main storylines, but given the nature of the show I wasn’t too concerned (even Lois Lane found out eventually). It wasn’t until Barry and Joe told Eddie just so he could help them keep the truth from Iris that it started to bother me. 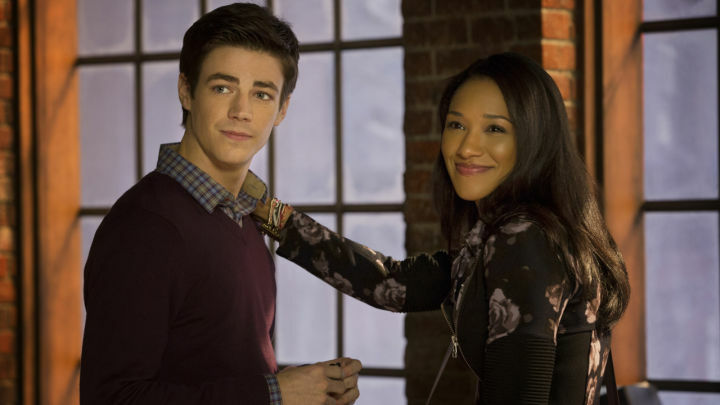 Keeping Barry’s secret identity went from being a minor part of the storyline to a driving force behind a lot of the relationships and decisions in the show. Now everyone on the show was actively undermining Iris’ character and her intelligence. The only thing I appreciated about this scenario was how hard it was for Eddie to keep the secret, and how much he fought against Barry and Joe so could come clean. While I had always liked Eddie, this evidence of his respect for Iris helped make him even more likable in my opinion. As frustrating as it was to watch everyone trying to circumvent Iris and hide the truth from her, I really did appreciate how the show finally handled her discovery of the truth. She didn’t just accept it or let Barry off the hook easily. She yelled at him and she’s one of the first characters I’ve heard actually come out and say their logic was crap because by not knowing she was actually being put into more dangerous situations than if she had known. I had been pretty ambivalent toward Iris for most of the season, but I really cheered her on during this scene, and found myself liking her a lot more in the final episodes. Lastly, the same precedent has been set already on iZombie and this one has been bothering me a lot in recent weeks. When Liv becomes a zombie she breaks off her relationship with Major because she’s afraid she’ll hurt him – or turn him – but she doesn’t say why. She continues to live with her roommate, even though theoretically she’s in nearly as much danger as Major would have been should Liv ever lose control. However, she doesn’t tell either of them, or any member of her family what is going on. Which, granted, it’s not exactly easy to admit to one’s family you’ve suddenly become an undead human. My problem with keeping the secret on this show is that by not knowing the truth, Major is constantly putting himself into life-threatening situations without even realizing it. He has no idea what he’s dealing with when he becomes obsessed with finding out what’s happening to the disappearing kids, but he won’t give up. And despite the fact that Liv knows he has seen things he can’t explain, she still doesn’t tell him the truth. She lets him believe he has gone insane to the point where he commits himself to an institution and still doesn’t tell him the truth. He tells her he knows zombies are real, and she STILL doesn’t tell him the truth. Granted, he also threatened to hunt down and kill every single one, so she may have ended up at the top of his list, but the fact of the matter is: they both want Blaine and his minions dead. Wouldn’t it make more sense to come clean and work WITH Major, thus placing herself into a position to also help and protect him? I think the situation on iZombie bothers me the most because Liv keeping her secret from Major when he’s seriously questioning his own sanity just seems completely selfish to me. She may have genuinely wanted to protect him from this truth, but by this time it’s become more about her fear of his reaction than her concern for him. You can’t really justify keeping the secret to protect someone, when the alternative is letting them commit themselves to an asylum because they believe they’ve gone insane. Allowing Major to walk back out of her apartment without knowing the full truth, after he’s just told her he’s going to hunt down dangerous zombies is equally troubling. Liv doesn’t seem to make any move to stop him, or talk him out of it; therefore by the end of the episode Major finds himself captured by Blaine’s camp. Nothing in Major’s behavior this season has even remotely suggested he would be able to let this go, so Liv had to have known he would pursue Blaine. Letting him do so while still in the dark about Liv’s own condition is a really poor choice. 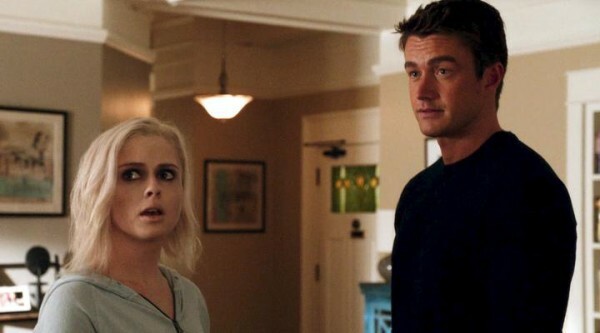 The finale of iZombie airs tomorrow night, so we’ll see how things work out – and whether or not Liv (who finally did have to face the truth with her roommate last week) finally comes clean to Major. As I stated above, I get that this plot device is pretty standard for these types of shows. For some reason it never bothered me too much with Smallville – what bothered me about that show was the frequency with which characters would learn, then somehow be made to forget, Clark’s secret. And I actually really liked the way Smallville handled the reveal to Lois – instead of waiting for Clark to tell her, she finds out on her own but doesn’t tell him. Instead, she understands why he’s kept the secret and tries to remove herself from him so he won’t have to worry about protecting her. While the secret identity plot device can be frustrating and overdone, I can appreciate when it’s used with originality – as it was in that case – and even more when it’s circumvented altogether. When I watched the Supergirl pilot I found it refreshing that the first thing Kara did the day after using her powers to help someone, was tell her best friend. Within the very first episode almost every important person in Kara’s life already knows who and what she is, and it was kind of a relief. It was nice not seeing her going out of her way to keep her secret from the people she cares about, and instead be able to share her entire life with them. I know this plot device isn’t going away any time soon, I just hope maybe more shows will be able to find an original way to employ it in the future. One that will result in fewer eye-rolling, groans and Tumblr rants.